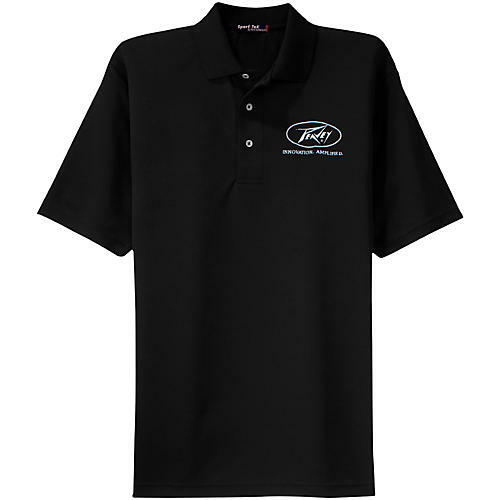 A great looking polo for fans of Peavey that'll keep you cool. Show your pride for Peavey with this black Dri-Mesh polo. Featuring a moisture-wicking, 100% poly double mesh fabric it has double needle arm seams, a 3-button placket, side vents and an embroidered Peavey Lightning logo on the right breast. Order a size that best fits you from the drop down menu.